The new consultation will be carried out in the spring and could see a rethink of the preferred route, known as Option 5a, which was announced in May. The government-owned company said that following subsequent work to develop the scheme for a planning application, ‘important new evidence is available which merits putting the plans to the public again’. It said the new information includes a redesign of the western end of the scheme where it re-joins the existing A27, updated traffic modelling results and updated data on and enhancements of the alternative Options 1 and 3. Significantly, it added the new consultation ‘will allow consultees to comment on all three route options previously consulted upon: Option 1, Option 3 and Option 5a’. It will then ‘consider the responses, alongside all other relevant evidence in order to determine the next steps for the project, including examination of the information gained against the preferred route and the alternative options’. This suggests that the route option could still change, although Highways England said that the existing route announcement 'remains in place', and it is 'defending the legal challenges that have been brought against it’. 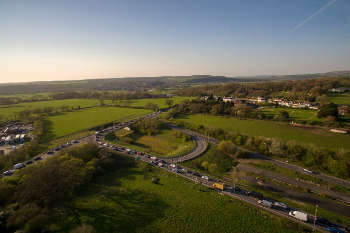 Programme lead Alan Feist said: ‘It is clear that improving the A27 at Arundel is a priority for local people, and we at Highways England have been working hard to develop our proposals. Highways England said it remains committed to finding a solution to the ‘daily delays and congestion’ on the road. Chris Todd, campaigner at Campaign for Better Transport, told Transport Network he thought the new consultation contained 'an element of [Highways England] jumping before they are pushed' in trying to address some of the criticisms that are likely to come up in at least one of two pending judicial reviews of the scheme. He added that, while the new consultation represented an 'opportunity' for a change of approach, Highways England 'seem to be pressing ahead with highly damaging options'. 'How are they going to address the fundamental point of the National Park Authority's review, which is that they haven't addressed all options, inlcuding damage to the national park?' he asked.